Plant requires food/nutrients/elements for its growth and development which are absorbed through soil. 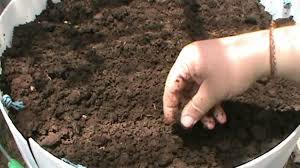 The nutrient supplying sources are manures and fertilizers. Application of manures and fertilizers to the soil is one of the important factors which help in increasing the crop yield and to maintain the soil fertility. N, P and K are the 3 major elements required for the crop growth. Manure: It is a well decomposed refuse from the stable and barn yards including both animal excreta and straw or other litter. Or The term manure implies to the any material with the exception of water which when added to the soil makes it productive and promotes plant growth. Fertilizers: These are industrially manufactured chemicals containing plant nutrients. Or It is an artificial product containing the plant nutrients which when added to soil makes it productive and promotes plant growth.